Genadry uses the language of stratification in her paintings, attempting to catch the immediacy of what she sees and to fix this in her memory. 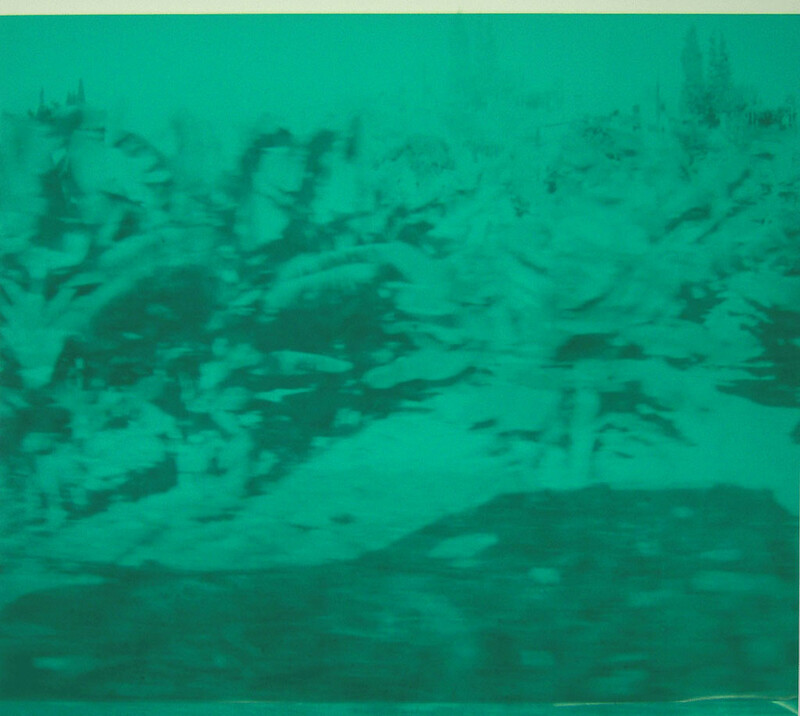 Recording landscapes as mind and video do, her works develop horizontally, through photograms, which sometimes are filtered, overlap or fade out; and vertically, thus recalling the process of memorization that works through the accumulation of visual information, feelings and view details. Daniele Genadry, ‘MER II’, acrylic and oil on panel. Image courtesy the artist. 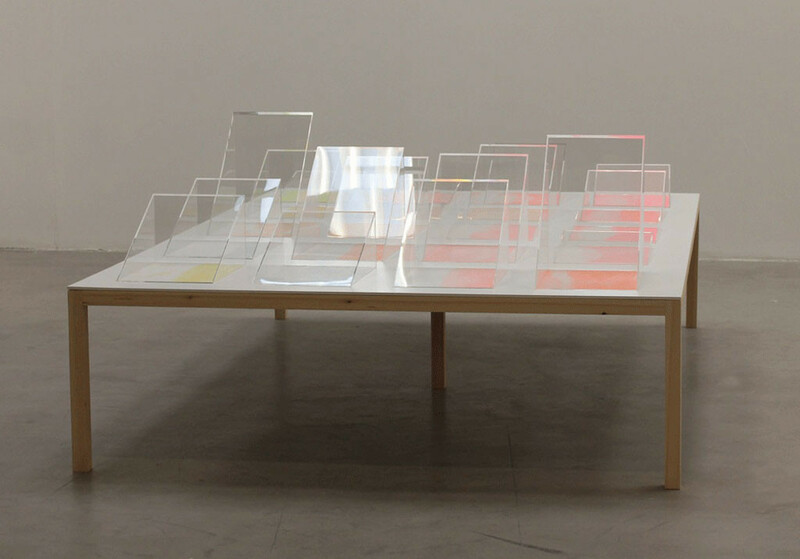 Daniele Genadry, ‘Between Saida and Sur’ 2009, Screen and laser print on paper / tracing paper, 84 x 110 cm each. Image courtesy the artist. 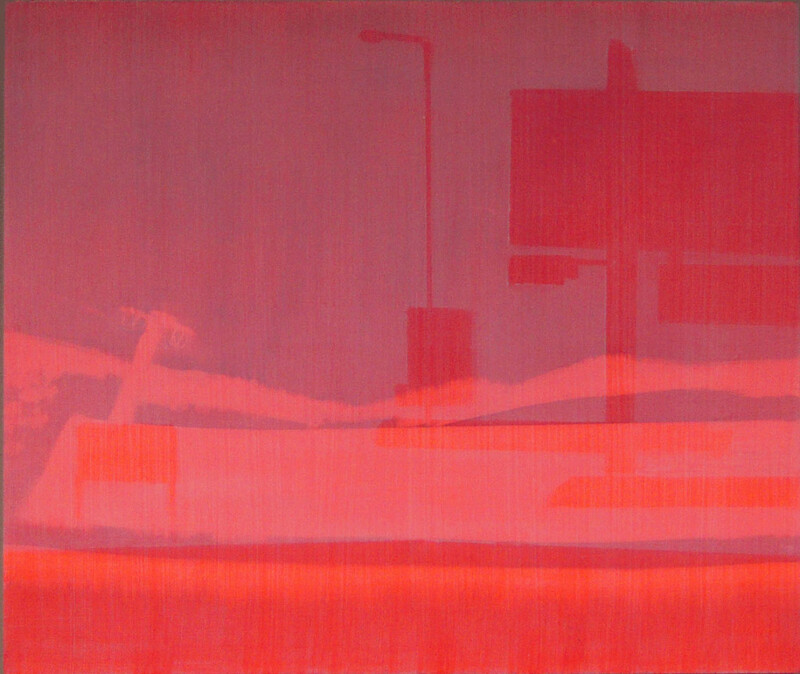 Daniele Genadry, ‘Kartaba’, 2010, screenprint on paper, 70 x 100 cm. Image courtesy the artist. 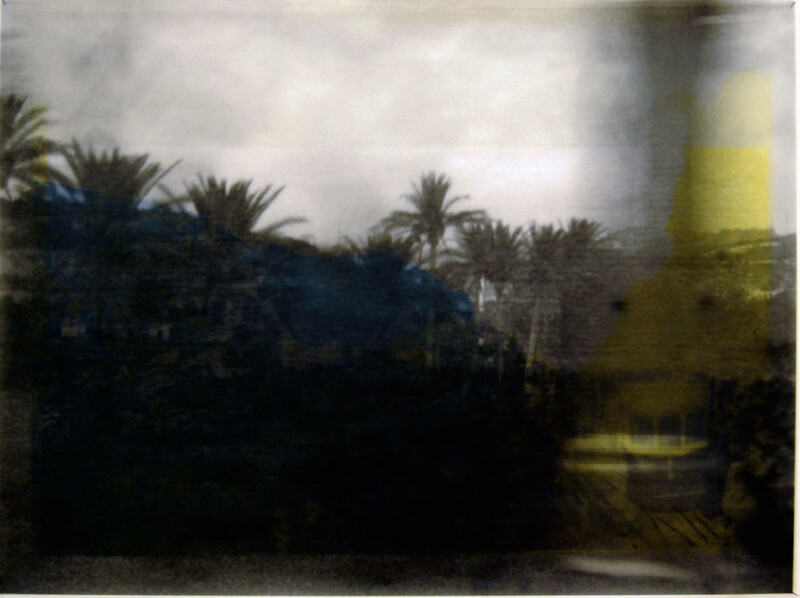 Daniele Genadry, ‘Bronco and Bananas’ from the series “The Collision of Memory”, screenprint on colored film, 60 x 60 cm. Image courtesy the artist. 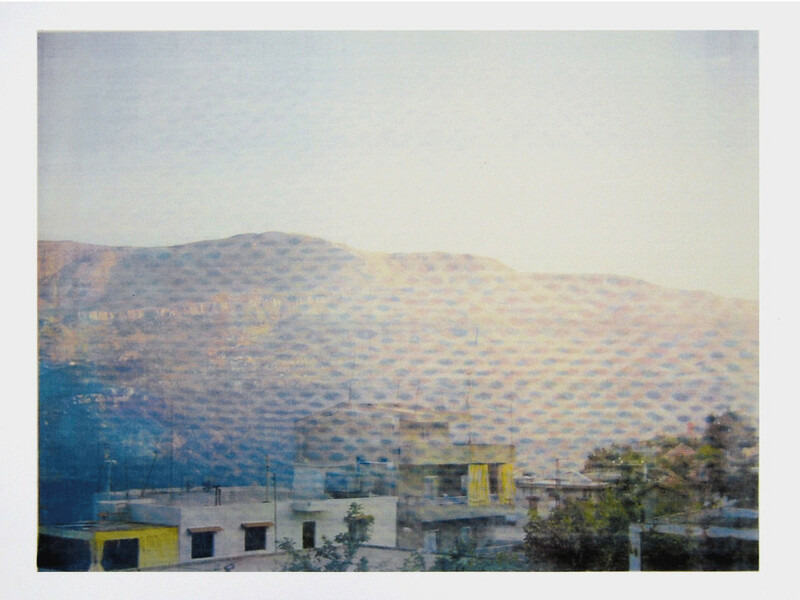 Daniele Genadry, ‘Afterglow (the Mountain). Installation views of Journeys Show at Beirut Exhibition Center. Image courtesy the artist.